We’ve never met anyone who enjoys the job of scrubbing out a huge wheeled rollout cart, but dealing with the flies and smells that come with a dirty cart is even worse. 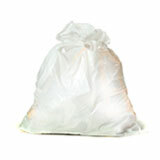 Avoid the mess in the first place with a commercial can liner especially designed for large rollout cans. It’s a simple solution that solves a lot of problems. 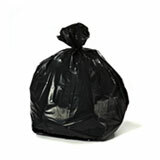 We have the perfect extra large garbage bags for all the most popular wheeled carts on the market. 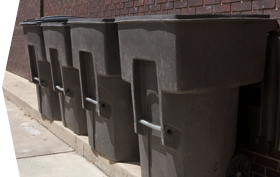 Finding garbage bags large enough for rollout carts can be a challenge, but with our large selection you’ll never have to worry about it again. 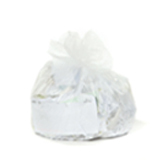 Using the right sized bag wards off slippage and spills, and we even offer huge rubber bands to secure the bags around the rim of the garbage can. Whether your rollout cart is 64, 65, or 95 gallons, Plastic Place has it covered. 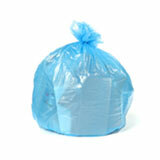 We offer special extra tall can liners as well as a huge range of thickness. 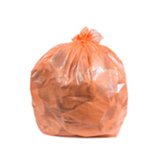 Our extra heavy garbage bags, made of low-density plastic, offer the ultimate protection against punctures, but if you’re throwing away a lot of heavy or wet (but not sharp) trash, a high density bag can be a great, affordable alternative. 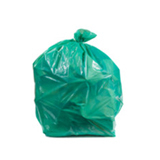 You can choose from clear garbage bags, blue recycling bags, and black garbage bags to help staff sort refuse. 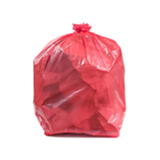 Sourcing wholesale trash bags for your rollout carts from Plastic Place is a smart way to save your business time and money. 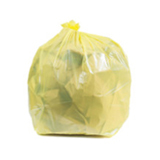 You pay less per bag, and not only do we offer same-day shipping at a flat rate, we also give you a 100% satisfaction guarantee all of our bulk garbage bags. 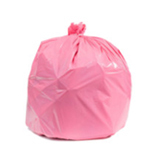 Before you buy, ask our trash bag experts any question. 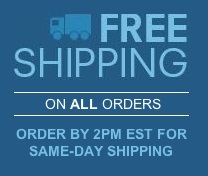 We love to talk about our products and will make sure you order the ideal bags for your business.